What kind of keys that Condor XC-002 mechanical key cutting machine supports? 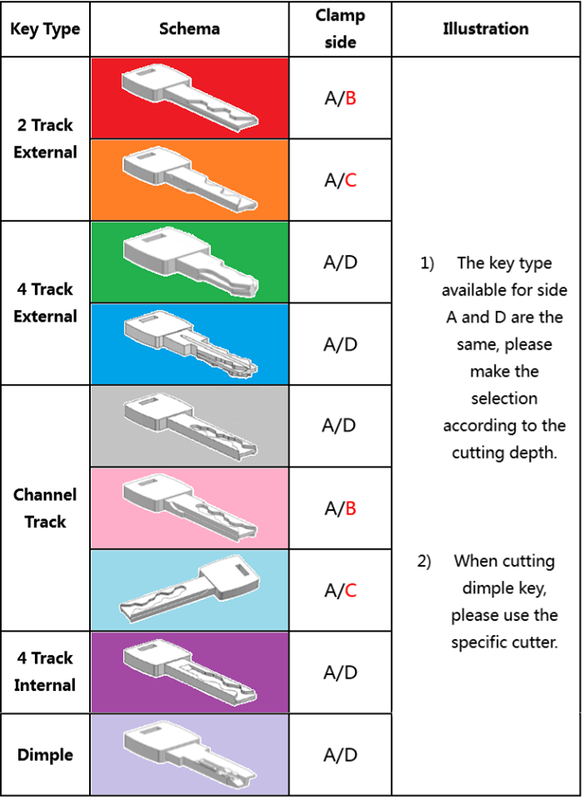 the key type available for side A and D are the same. please make the selection according to the cutting depth.